A solo project by Fenriz, who also played several instruments (mostly drums) in Darkthrone, Storm, Dødheimsgard, Eibon and Valhall. 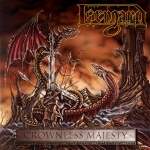 The heavily Tolkien influenced Isengard, the project logo being a depiction of Thuringwethil from 'The Silmarillion', bowed in with a death metal demo 'Spectres Over Gorgoroth' in 1989 and the follow up 1991 session 'Horizons'. 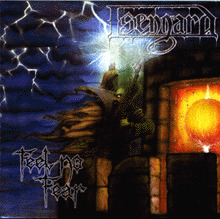 Fenriz released another demo, 'Vandreren', in 1993, and Isengard style switched to folk/black metal. 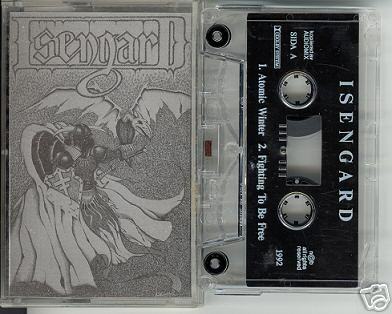 Isengard compilation 'Vinterskugge' (Winter Shadow) was issued in 1994 on the Peaceville Records subsidiary Deaf Records and contains all the three demos. 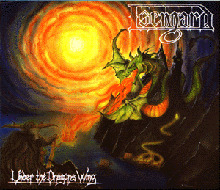 A second album was released in 1995 on Satyr's (Satyricon) label Moonfog. This album is called 'Høstmørke' (Autumn Darkness) and contains more folk-influenced but also two true black metal songs. 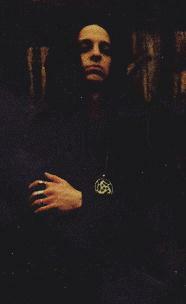 Fenriz also released two albums under the name of Neptune Towers.